A lifetime of good dental health begins with the education and preventive care during childhood. At Pinkston Dental Care, we provide comprehensive dental care to ensure children to make positive decisions now and in the future. Our Central Oklahoma City children’s dentist and team are committed to gentle dental care that helps young patients look forward to dental visits. To schedule your child’s next exam and consultation with our office, contact us today. 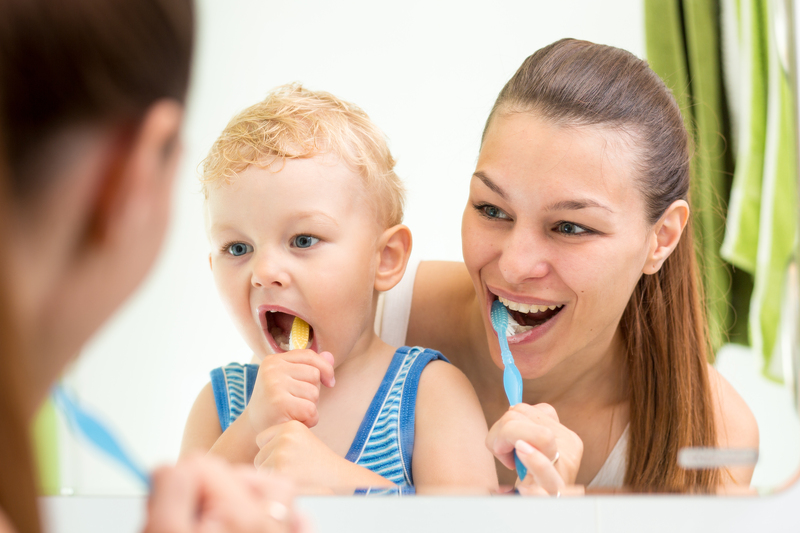 Proper at-home oral hygiene is essential for parents and children. The team at Pinkston Dental Care helps young patients and adults understand the best techniques for oral hygiene and diet choices that support long-term dental health. When patients are too young care for their own teeth, we provide education on how caregivers can clean and protect baby teeth. Parents are also encouraged to sit alongside their child during the appointment to provide additional comfort and see firsthand hygiene steps to promote long-term health. If your child’s teeth are decayed or physically damaged, we restore smiles and coach caregivers on how to avoid these problems in the future. Children who exercise positive dental hygiene habits often do not need complex care, which creates positive experiences at routine appointments. To enhance at-home hygiene, Dr. Pinkston and our team provide a number of treatments that strengthen enamel and prevent decay. Fluoride can be provided and swished after regular cleanings to protect to keep the teeth healthy. For patients with deep grooves in back teeth, it’s difficult to eliminate food particles when brushing. Dental sealants are provided in these cases to coat the chewing surfaces of healthy molars and prevent the risk for dental caries. Protecting your child’s teeth from damage during outdoor activities is also essential. Sports guards are custom-made at our practice to fit each child’s unique smile, protecting them from the damage that can occur during contact sports. If damage has occurred to your child’s smile and they are in need of immediate care, Dr. Pinkston makes himself available to provide emergency dentistry. Emergency dental treatment at our Oklahoma City practice helps to save the healthy structures of an affected tooth and reduces the discomfort that can occur when teeth are damaged by decay or accidental physical trauma. We make every effort to treat emergencies in the same day. Restorations provided our practice are made from durable, tooth-colored materials, restoring the function and comfort of a healthy bite. With natural-looking treatment, children can feel confident in the appearance of their smiles. Whether your child is in need of sealants or immediate care for a dental emergency, contact Dr. Pinkston and our team today. We provide pediatric dental services in Central Oklahoma City and throughout the neighboring communities.